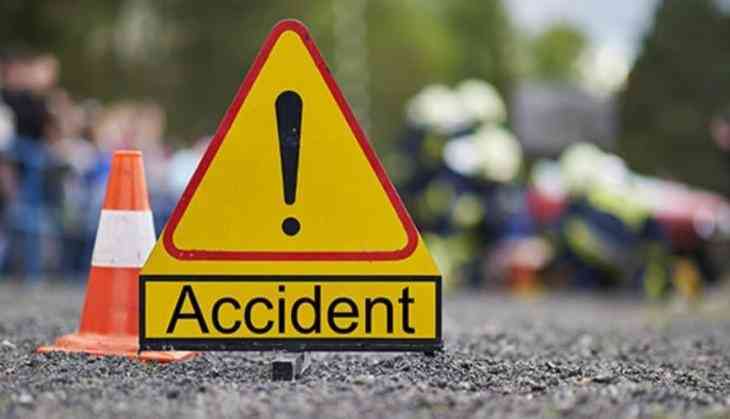 In a tragic bus accident near about six people have been killed and 12 were injured when a private bus fell in a deep ditch near Nai Neti panchayat on Solan-Rajgarh road in Sirmaur district of Himachal Pradesh. The police have started rescue work. As per reports, Village locals immediately rushed to the spot and helped the injured before the authorities came. They also informed the police. Most of the injured were admitted to the Regional Hospital in Solan. The rescue operation was over, Sirmaur Deputy Commissioner Lalit Jain was quoted as saying by news agency IANS. Officials had a tough time rescuing the victims from the badly damaged bus, said the eyewitnesses. Mr Jain said the cause of the accident was not yet confirmed. Earlier, a tragic bus accident had taken place in Bihar's Motihari on Thursday, it was earlier reported by several media house that at least 27 passengers were burnt to death, leaving several injured as bus catches fire after the accident. A day after it was reported that 27 people were burnt to death in a bus accident in Bihar's Motihari, after a bus fell into a ditch and caught fire after it turned turtle, the state's disaster management minister, Dinesh Chandra Yadav took a 'U' turn and delivered a shocking statement. The minister said there were no casualties in the accident. The India Meteorological Department (IMD) has issued an alert that there is the possibility of storm and storm coming in Uttarakhand, Jammu and Kashmir and Himachal Pradesh today. Hurricane coming in hill states can also have an impact in the plains of northern India and this hurricane and typhoon are coming due to the new western disturbances beginning tomorrow.